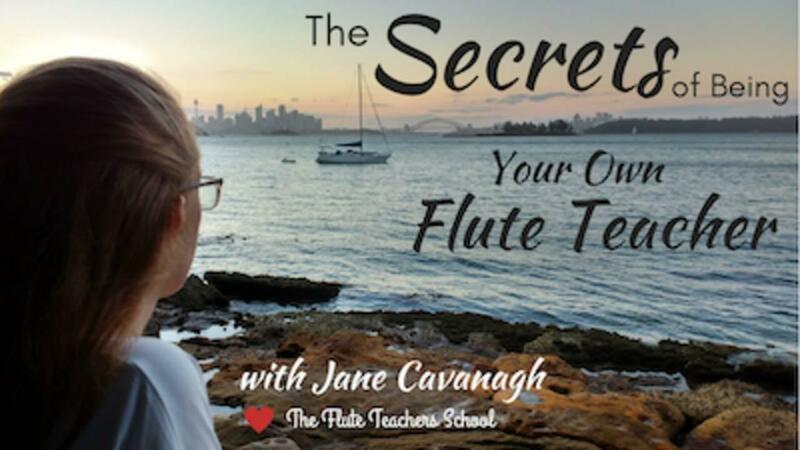 20 short but powerful lessons giving you the REAL reasons (and solutions) why learning the flute sometimes feels so HARD. How to choose a teacher (and I don't necessarily mean me!) so that you are assured of rapid improvement. The pros and cons of learning as an adult. There are both! Which level of flute you need - this lesson will save you money by the way. Which "gadgets" do you need (and not need) on a flute. Again, to save you money. A thought technique to bring out your hidden motivation. Learn the mind-set behind drastically improving your finger technique. Shows you how to easily develop a "good ear" - something that sets apart a good musician from the rest. The 2 different types of "learn to play flute" book and which one to avoid. How to become FLUENT at reading music. The magic of practice, and how to make it work for you with little effort. Learn how to avoid pain and injury - it's much much easier to do as an adult than as a kid. Woohoo to that! How to keep your flute shiny, using an awesome piece of paper that costs a couple of dollars. The surprising benefits of using a music stand. Five expert "tools of the trade" that every teacher needs to know about. Want to one day join a group to play in? I show you how to find other people to play music with. I show you some playing techniques that are fundamental to being good at the flute. Like: Getting a good sound, good hand position, clear tonguing, controlling octave jumps, and more. If you ever feel like you're falling behind, just watch this last video! I teach you how to think so that you succeed at your flute goals.